HiFU – Ultrasound treatments are designed for the face, neck and body. The HIFU – High Intensity Focused Ultrasound device is a novelty on the aesthetic medicine market. HIFU Ultrasound quickly found a wide group of supporters, especially thanks to its phenomenal effects. 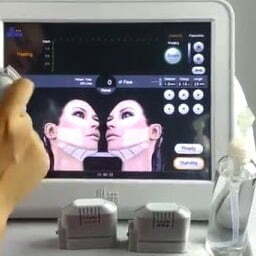 A special stimulating algorithm and a patented delivery technique embedded into the HIFU device is using ultrasounds as means to the production of new collagen and elastin in the deep regions of the skin. Ultrasound therapy enables a non-invasive wave treatment. 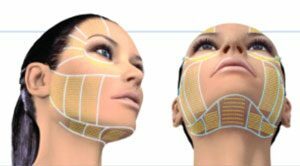 HIFU uses ultrasound energy that is directed to the deep layers of the skin, lifting it and giving the effect of skin tightening, rejuvenating the face, lifting sagging skin on the cheeks (jowls) and neck, rejuvenation of the neckline, abdomen, hands, thighs and other parts of the body. HIFU ultrasound is the first and only non-invasive procedure that can be used to improve the appearance of the skin, lifting sagging skin (jowls), tightening the skin around the neck, under the chin (turkey neck) and eyebrows, which increases the patient’s everyday comfort. HIFU lifting is also used to smooth out lines and wrinkles on the neckline, tighten the skin on the cheeks, arms and legs. Thanks to the HiFu treatment, we can create a visual effect of removing the excess of skin, sagging skin, cellulite and fat tissue. Visualization © Eskulap.co.uk 2018. Competitive devices that use the HIFU technology reduce the energy of ultrasounds in order to minimize adverse effects. The reduction of energy causes less thermal damage to the tissue, which at the same time leads to weaker effects of the treatment. The concentration of ultrasonic energy in the tissue at the appropriate depth solves this problem. We are able to reach the tissue that needs rejuvenating the most – skin on the face, neckline, belly, arms, legs. Ultrasound therapy prevents sagging, tightens the excess of skin (on the cheeks – jowls, neck – turkey neck). HIFU is an effective treatment after weight loss, during diets and and after giving birth (delivery) by tightening, lifting the skin giving you the visual effect of body aculpturing and cellulite reduction. Stable energy concentration at one particular point (focused ultrasound) provides increased patient safety and is less painful with better treatment results. Call today to arrange a consultation 07747474755. HiFU Londin and Birmingham – Ultrasound – How it works? HiFU technology (high intensity focused ultrasound) uses ultrasound and has been safely used by doctors for over 50 years in clinical trials and treatments in various fields of medicine around the world. It is recognized as effective, now it is experiencing its renaissance in aesthetic medicine. It ensures the growth of enhanced collagen in the tissue, focusing on the layers where it is most needed and where it will be the most effective and beneficial. With age, the level of collagen in the skin decreases and can cause drooping, sagging of the skin. Exposure to the sun and the force of gravity also have a significant impact on the skin. 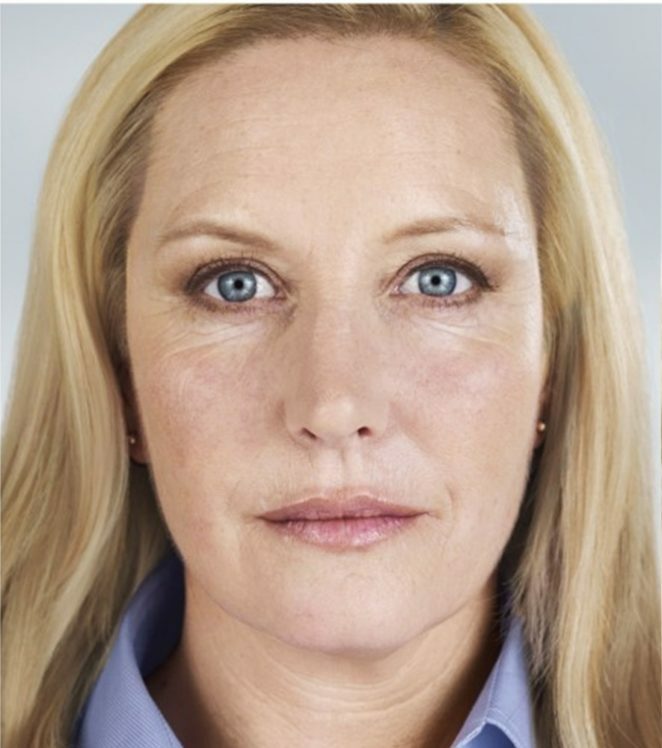 The HIFU procedure available at the Aesthetic Medicine Skin Clinic in London, Birmingham and Słupsk can be used to reduce bags and wrinkles under the eyes (puffy eyes). It causes lifting, tightening and smoothing of the skin, all imperfections are less visible. The treatment is extremely effective in combination with hyaluronic acid. Sagging, loose skin, cellulite and fat is a big problem for many women and men. High intensity and focusing directs the beam of ultrasounds that penetrate a certain depth of subcutaneous fat. This accelerates the metabolism of flabby, drooping skin and induces a selective thermal effect. In addition to the thermal effect, there is also a mechanical wave effect. As a result of the formation of tiny gas bubbles in the cells, selected parts of the cells are destroyed. This leads to immediate thickening of the tissues and stimulation of the body to the natural processes of reconstruction, lifting and regeneration of the treated skin. The surrounding structures such as the epidermis, blood vessels and nerves will not be damaged. The treatment can be performed to treat droopy eyelids or excessive, sagging skin on different parts of the body. This treatment does not exclude the patient from daily activities and does not require recovery period. HiFU Ultrasound – is currently the strongest non-invasive method increasing skin tension, lifting, rejuvenating the treated area. HiFU is a new quality in thermolifting treatments used in aesthetic medicine. What does the Ultrasound procedure look like? 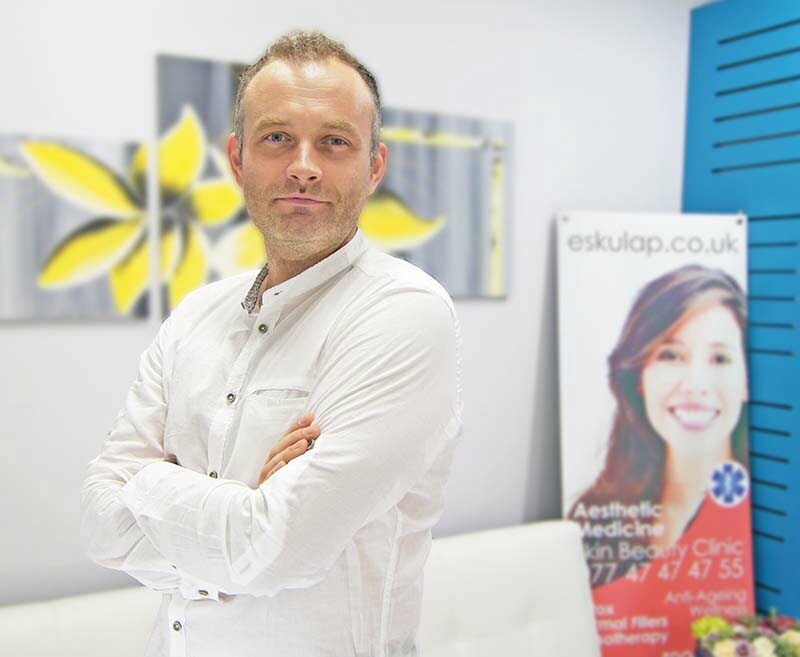 At the Aesthetic Medicine Skin Clinic in London, Birmingham and Słupsk, we use the ultrasound device that uses the HIFU technology – unique in aesthetic medicine. The treatment is safe for the patient and very precise. During the procedure the patient is relaxed on the couch. The lifting and tightening effect is triggered by means of a special probe applied over a specific area of the body. Depending on the scope of the procedure, it may last for 60 minutes (face, cheeks or neck) up to 2-3 hours (larger parts of the body, eg stomach, arms, thighs). Zabieg HiFU w Londynie Birmingham i Słupsku z użyciem ultradźwięków nie stwarza większego dyskomfortu. Jedynie w chwili oddziaływania fal pacjent może poczuć lekki ból utrzymujący się przez kilka sekund (porównywalny do ukłucia komara). Można go jednak zneutralizować przez przyjęcie na pół godziny przed zabiegiem ogólnodostępnego środka przeciwbólowego (np. paracetamol). Nie należy przyjmować środków o działaniu przeciwzapalnym. 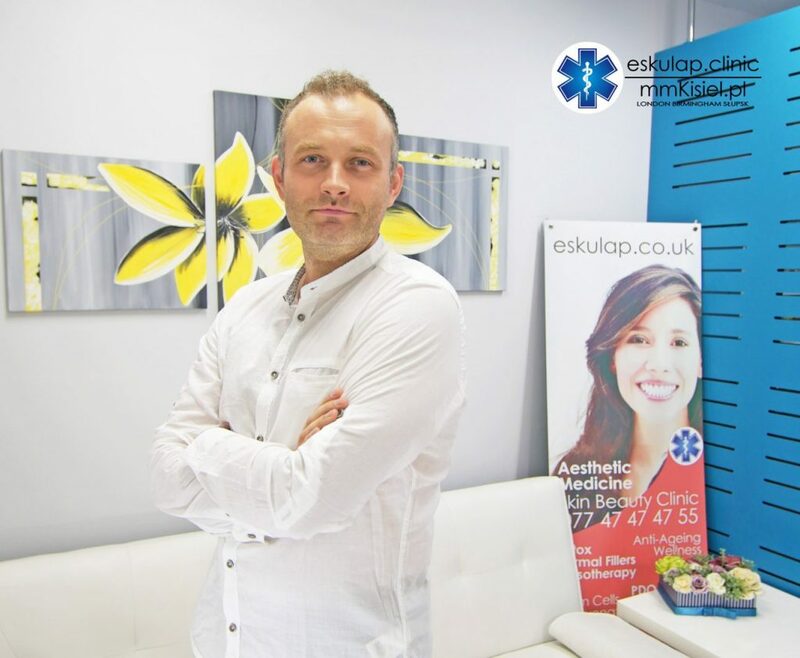 In London Birmingham and Słupsk Clinics the HiFU treatment using ultrasounds does not cause much discomfort. Only when the device is emitting waves, the patient may feel a slight pain lasting for a few seconds (comparable to a mosquito bites). However, it can be neutralized by taking painkillers (paracetamol) half an hour before the procedure. Do not take or use any anti-inflammatory agents! How long does the HIFU Ultrasound lifting effects last? 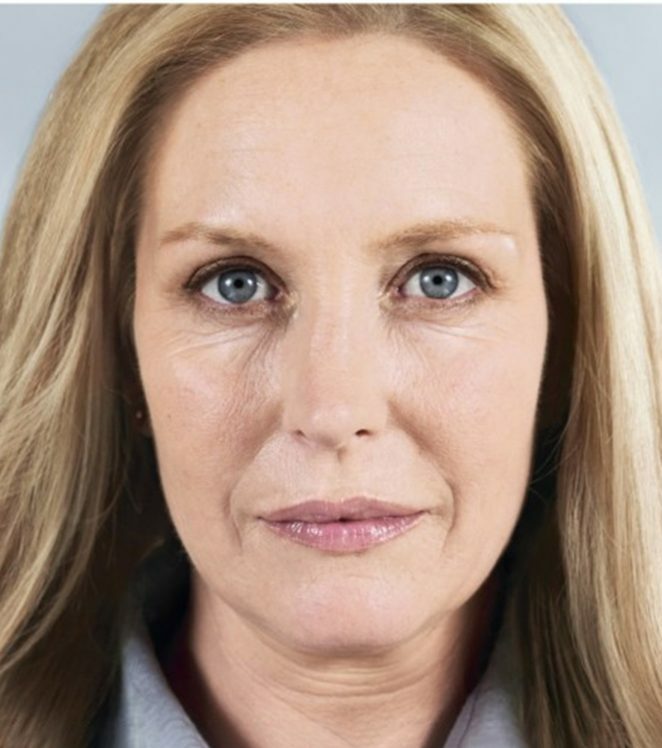 The results are visible almost immediately after the procedure, however, the best results appear with time – in the period from 2 to 20 weeks. HiFU Ultrasound lasts up to 18 months. How often do you repeat the HIFU Ultrasounds treatment? You should strive to improve the quality of your skin. Depending on the condition of the skin and the characteristics of the individual patient, one treatment will bring results, but when excess tissue and sagging skin is a lot, the second procedure can be done not earlier than 6 months after the first treatment.